Where to meet new people in your area. 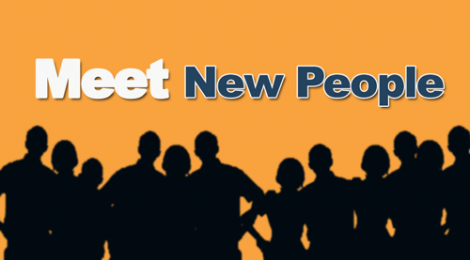 Where can we meet new people? 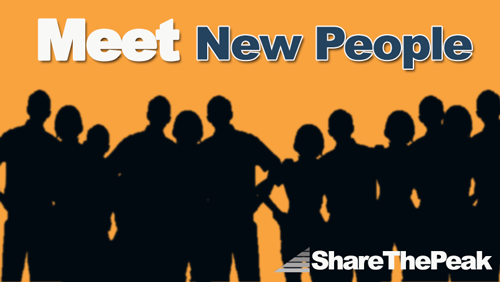 I’m sure you’ve come to a realization that as we get older, it is getting quite difficult to meet new people. For some this is not the problem; the connection is where they fail. But, just remember that a connection can be easily forge if both people have a common interest, or if they share the same experience. Experiencing an activity with someone makes us closer. So, we provided you some of our ideas of where you could meet potential connections. If you have a gym membership, why not milk it for all of its worth? Believe it or not, a lot of people join a gym hoping to connect with new people. Have you ever wondered why some people linger 2 to 3 hours in the gym casually? The gym is a social setting. Don’t be afraid to strike a conversation with someone that you consistently see whenever you go to the gym. If this is too intimidating, why not join a fitness class, and strike a conversation with someone in the group. Group settings are always the best; it is just less awkward to approach people. Just remember to not be too creepy. Your local rec center is also a great place to connect with new people in your area. Ask your local rec center for the schedule of classes and events. Join and participate, your new Bestie might be in there. Rec centers also have sporting events that they host and organize throughout the year. Whether it be dodgeball, basketball, volleyball, or racquetball, each rec center should have a sporting event that they are promoting to get people to come use their facility. Again: Join and participate and form those connections. If you’re really passionate about a sport, why not join a league? There are plenty of league teams looking for new players to join them. Soccer leagues, flag football, volleyball leagues, basketball leagues, etc. Most league people understand that not everyone can commit to every single game, so they search for new players to fill in the holes. Leagues might happen during the spring, summer, or fall season so watch for them. Follow organizations on their social media channels, or subscribe to their email list to get the latest update of their events. Volunteering for a cause, or for an organization that you like is another great way to meet new people in your area. There are a lot of nonprofit, and public organizations in your area that are looking for volunteers, so try to explore, and find the right volunteer work that fits your interest. There’s a high chance that you’ll find a connection here. Online communities are out there in the digital world waiting for you to discover them — Share The Peak, Meetup, etc. These online services offer great tools to help its community form connections. Some of them are free, and some require you to pay a monthly service fee. The real draw of online communities is that most of them are very specific to a genre. Outdoors, video games, sports, extreme sports, etc. it’s out there. Seek them out and be a digital social butterfly. ← Benefits of Living an Active Lifestyle.